This holiday season I wasn't really wowed by any of the flashy, limited edition palettes or special edition releases. My past experience of succumbing to cute cardboard packaging during the Christmas shopping season has resulted in disappointment or neglected products so this year I mostly went after value sets of tried-and-true beauty favorites. 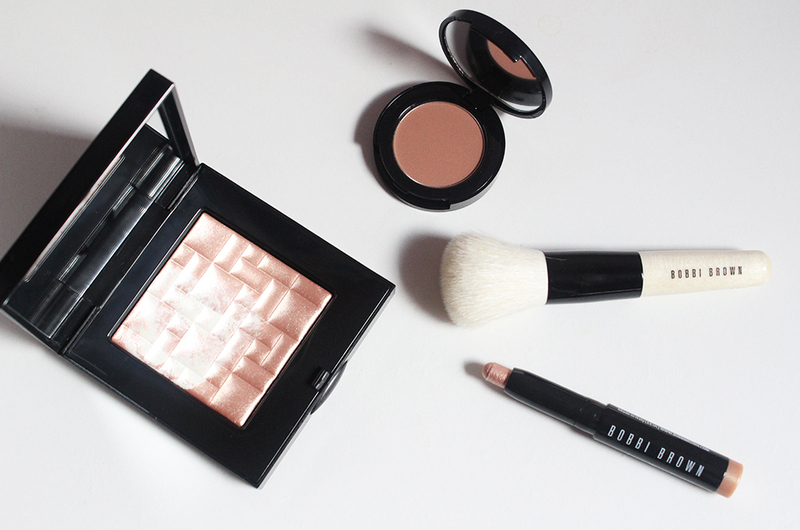 One such set is the Bobbi Brown Strobing Eye and Cheek Set. In this $75 kit you get a full size Highlighting Powder in Pink Glow (.28oz./8g), a mini Long-Wear Cream Shadow Stick in Golden Pink (0.9g), a mini Bronzing Powder in Medium (.09oz./2.55g) and a mini Face Blender Brush. The highlighter retails for $46 and the mini eyeshadow stick and bronzer are a value of $16 and $13 respectively. So you're getting pretty much exactly $75 worth of products plus a free mini brush. The regular Face Blender brush retails for $52 but I've never used it so I can't compare the quality to the mini brush. The brush that comes in this set is made in China and I believe it's made of goat bristles. It's a usable brush (I keep mine in the office for touch-ups) but the bristles can be a little scratchy and you can get superior synthetic brushes from more affordable brands. I love cream eyeshadow sticks because they're so easy to swipe on in the mornings and the Bobbi Brown ones are indeed long-wearing. The shade Golden Pink is a warm champagne with a lot of shimmer. 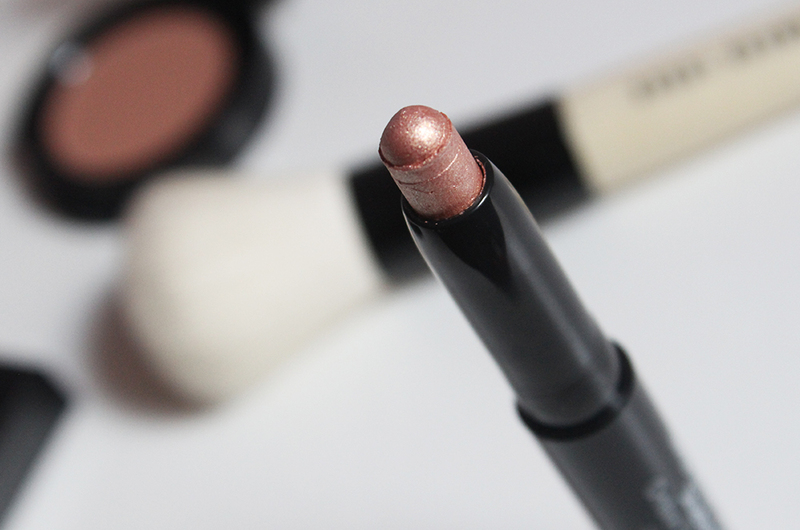 It's similar to Laura Mercier's Rose Gold Eyeshadow Stick but a hint more peach and more glittery. 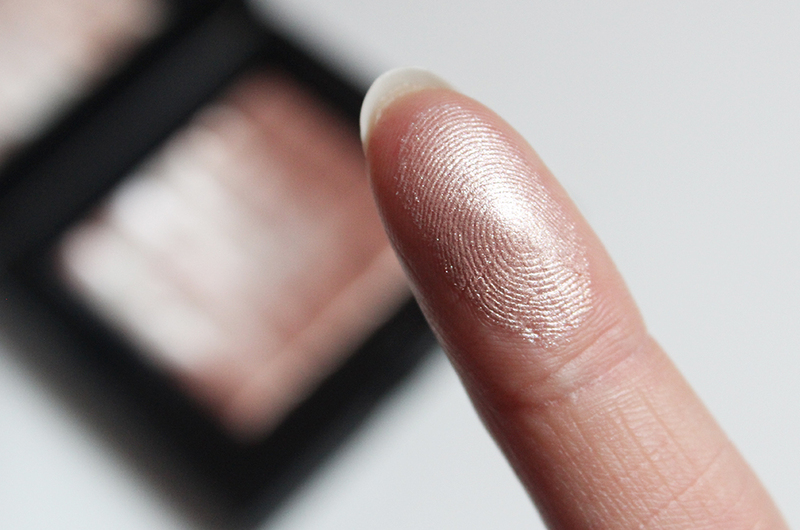 The Bobbi Brown Highlighting Powder in Pink Glow is a lovely warm pink highlight that sparkles in all the right ways. The way the powder is pressed into the pan gives it a 3D effect and makes it all the more appealing. I like that the white and rose gold portions are not fully mixed together so that you can, in theory, dab your brush into the sections separately if you want a lighter or darker highlight. 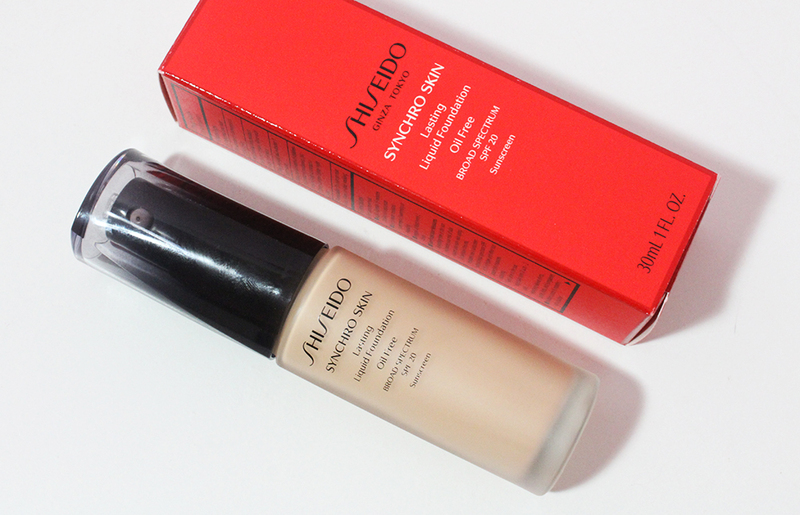 The powder is very smooth and pigmented but not too creamy that it will look too harsh on the skin. 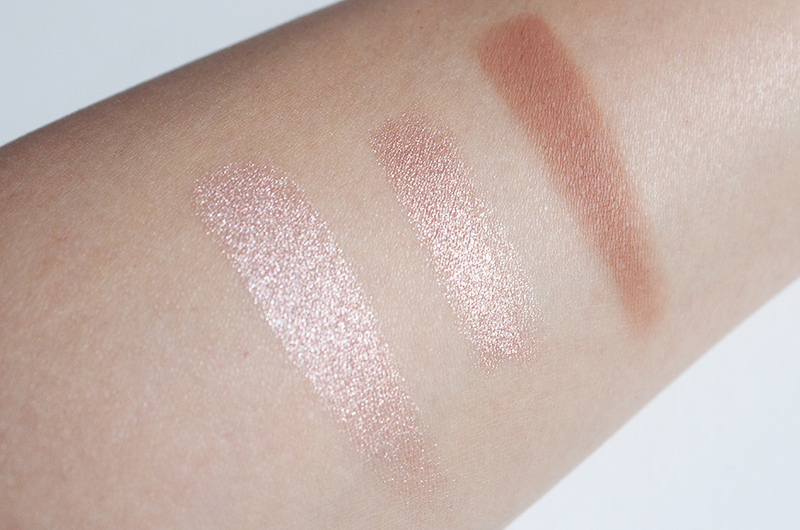 Above is the highlighter, eyeshadow and bronzer swatched from left to right. The bronzer has a noticeable red tinge to it so I probably will save it for the summer when I'm at my tannest color. The formula was suprisingly creamy and very smooth. I think it would make a lovely eyeshadow color and the small size makes it perfect for that purpose. As someone who hasn't tried many Bobbi Brown products, this was a great set to help me get acquainted with the brand. I went highlighter crazy these past two months and added way too many to my collection. But I can say this Bobbi Brown one fills a void in my highlighter stash because it's got the slightest hint of pink without being too cool. 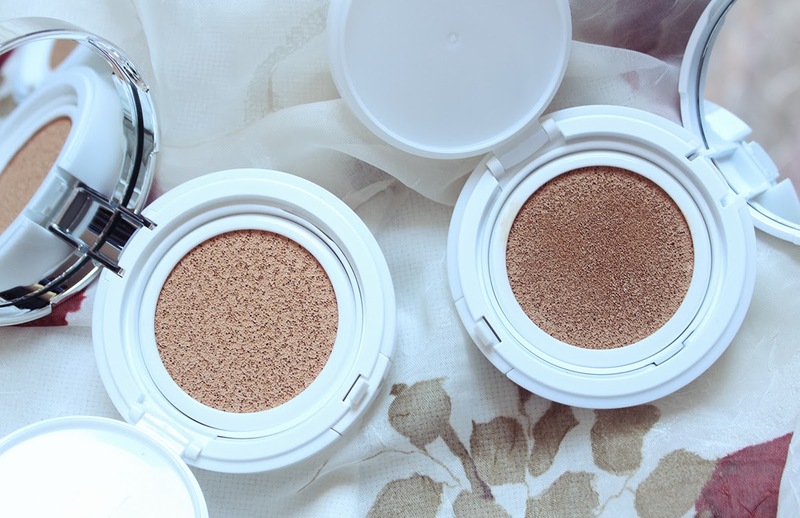 If you know someone who loves a glowy makeup look, this set sure won't disappoint.